The City of Greater Bendigo is located in the geographical heart of Victoria. The City is recognised by UNICEF and /UNESCO as a Child Friendly City . It has a growing population of more than 110,000, with 15% born overseas, and 5.6% of households speaking a language other than English at home. Over the past 10 years, more than 300 Karen refugees (to name just one group) have been welcomed to Greater Bendigo. A recent example of their success in our community was the national award won by two young Karen weavers for their beautiful woven scarfs. The City of Greater Bendigo supports the weavers by allocating a supported arts space for their weekly workshops. 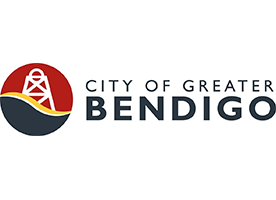 In addition, the City of Greater Bendigo endeavours to endorse its commitment to refugee resettlement by providing funding to assist local Karen organisations to celebrate their culture. The City of Greater Bendigo in partnership with Loddon Campaspe Multicultural Services (LCMS) ran a Community Human Rights Forum – But Where Are You Really from? on Friday 16 March 2018 at the Ulumbarra Theatre. The Forum was a part of the 2018 ZINDA Festival (previously Bendigo Festival of Cultures) and provided an opportunity for the local community to come together and discuss the importance of multiculturalism and human rights for a more welcoming, liveable and inclusive city.